Product Consists : Ethnic Eye Design Cufflinks Set, Black Modest Tie, Polyester Brown Bow Tie along with 60% Cocoa Truffles Lindt Lindor Chocolate Box (Weight: 200 Gms). This classic gift hamper is perfect to delight your Boyfriend, Husband and Lover so express your feelings and make receiver happy and blessed on special day. So book your order now and brighten up the face with a perfect smile. 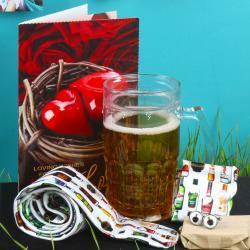 Send this Exclusive Valentine Gift Set for Him Gift to your friends or loved ones on Valentine's Day to make them feel very happy. 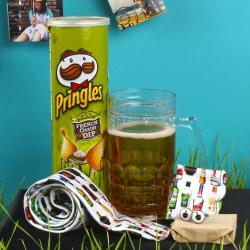 Love gifts can be gifted for plentiful reasons meanings and special thing is with one mouse click you can order. Whenever you get this kind of gift hamper its like you are in heaven with all the happiness of the world. 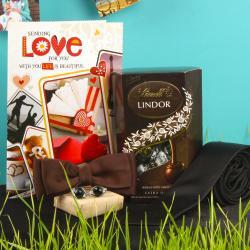 This gift combo should be the best bet for Valentine's Day, Birthday, Anniversary and Many more. 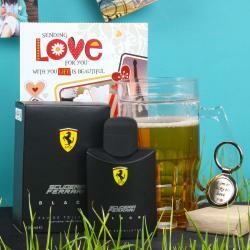 This Exclusive Valentine Gift Set for Him gift is exclusively available at Giftacrossindia.com only. Browse your favorite products, it is very conveniently available for online shopping from anywhere in India with Free Shipping. 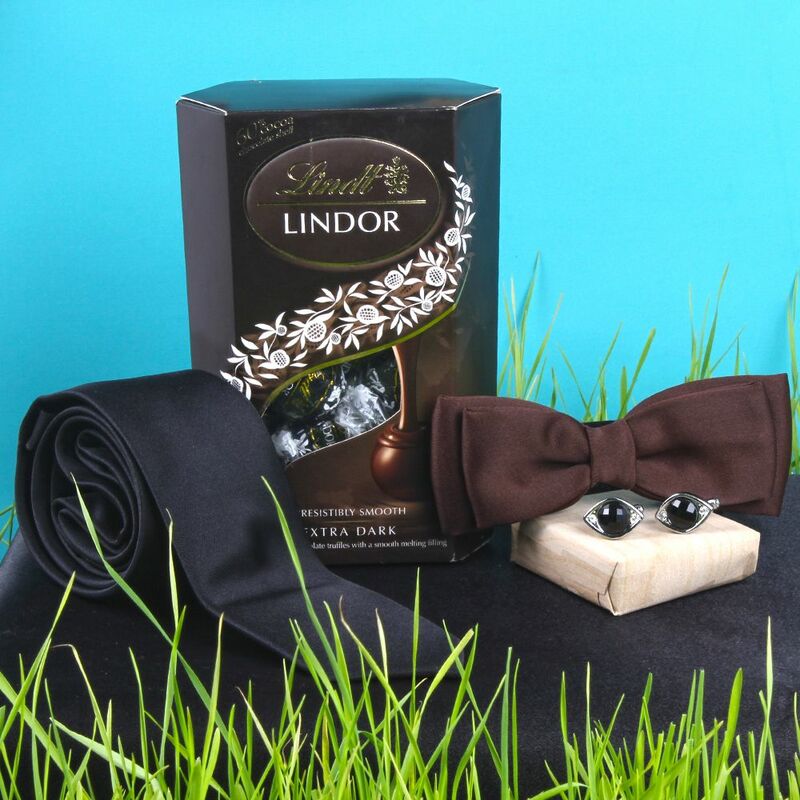 Product Includes : Ethnic Eye Design Cufflinks Set, Black Modest Tie, Polyester Brown Bow Tie along with 60% Cocoa Truffles Lindt Lindor Chocolate Box (Weight: 200 Gms).